The future is turbocharging engines according to the an EPA official. By the time the CAFE regulations go into full effect in 2025, 90 percent of the vehicles on the market will be powered by it. Could every new Toyota be offered with a turbocharged engine? If the EPA is right, all of these Toyota models could be offered with a turbocharged engine. What do you think? Fact or Fiction? WardsAuto caught up with Edward Nam, director of the EPA’s Light Duty Vehicles & Small Engines Center in Ann Arbor, MI at the SAE World Congress. He said that with current turbochargers are generally “limited to 261 psi (18 bar) of brake mean effective pressure, but that 348-psi (24-bar) units will be in the market by 2016 and used widely by 2025.” Mean effective pressure is a measure of the average pressure over a cycle in the combustion chamber of the engine. “We believe turbochargers will improve over time, and we believe engines will be able to improve over time,” Nam told WardsAuto. The reality, according to Nam, is that turbocharged engines will become vastly more efficient and will be the engine technology of choice for automakers. This improvement along with the development of 8-speed transmission, improved tires featuring lower-rolling resistance and improved aerodynamics will get cars to the 54.5 MPG goal. The improvement in turbocharged engines will lead to all vehicles seeing improved efficiency will less cylinders. Vehicles “like a Ford F-150 or Chevy Silverado (pickup truck) being run with a 4-cyl. engine,” Nan told WardsAuto. Many manufactures like Toyota have been spending vast amounts of money on research and development trying to figure out the best way to consumers with vehicles that provide power with improved fuel economy. There has been lots of time spent on all-electric, electric plug-in hybrids, diesel engines and other hybrids combinations. Nan says that the EPA estimates that electric or plug-in vehicles will only account for 3 percent of the market. Diesels and other hybrid types will have some market share, but it won’t be significant. Turbocharged engines with their small displacement (size) aren’t without critics. Even though the science seems solid, real-world testing hasn’t proven the estimates to be accurate. 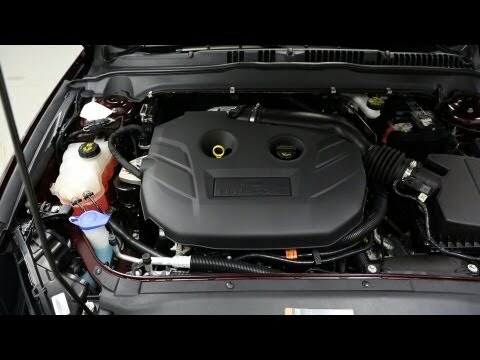 The largest criticism to date comes from Consumer Reports that found little to no benefit of turbocharged engines (see: Consumer Reports story and video below). Also, largely criticized are the EPA estimates from some manufactures (note: Toyota uses real-world fuel economy). If we believe these numbers, Nan says that turbocharged engines will save 4 billion barrels of oil and slash greenhouse-gas emissions by 2.2 billion tons (2 billion t) between 2017 and 2025. This translates into the average consumer seeing lifetime fuel savings for consumers around $5,700 to $7,400 – based on $3.87 per gallon. Yet these savings don’t come without higher up-front costs being passed onto the consumer. Nan estimates that vehicles sold in 2025 will cost $1,800 more than those sold in 2016 (the first year CAFE regulations come into effect). Higher up-front costs with longer payback times means many owners will have to drive their vehicles longer to see any real benefit. What do you think? Do you agree with the EPA that turbocharged engines are the future?